This Watermelon And Feta Salad is so delicious and refreshing. Salty and sweet, a match made in heaven. One of my favorite gadgets is the salad spinner. Great for after washing and drying your greens really well. This will allow the dressing to adhere to the leaves. 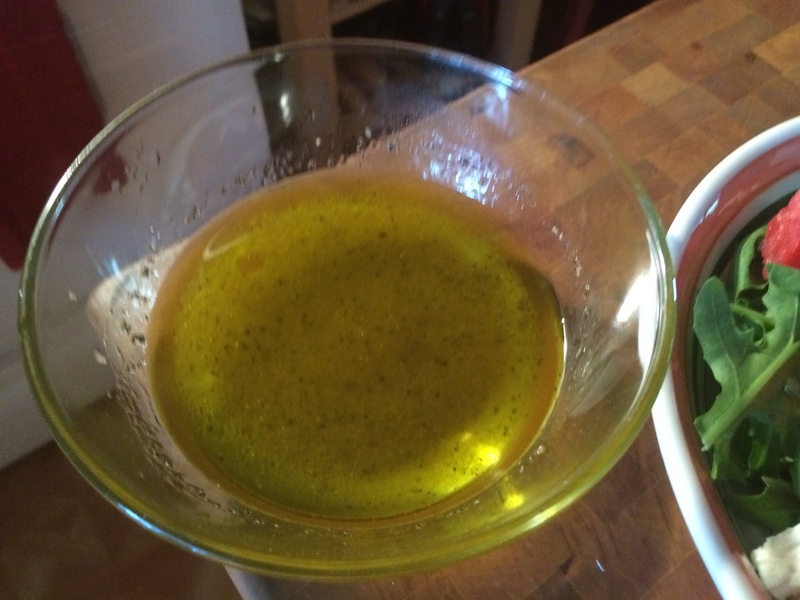 A few great ingredients and you can have an amazing salad. A simple concept right? Try this salad the next time you’re looking to make something a little different, I’m sure you’ll love it. How about on a skewer? In a small bowl, add lemon juice, Agave nectar, Kosher salt, and freshly cracked black pepper. Whisk all that together while slowly drizzling in *E.V.O.O. Spoon the dressing over the Watermelon And Feta Salad. So simple right? Try this salad the next time you’re looking to try something a little different, I’m sure you’ll love it. How about Watermelon And Feta Salad Skewers? 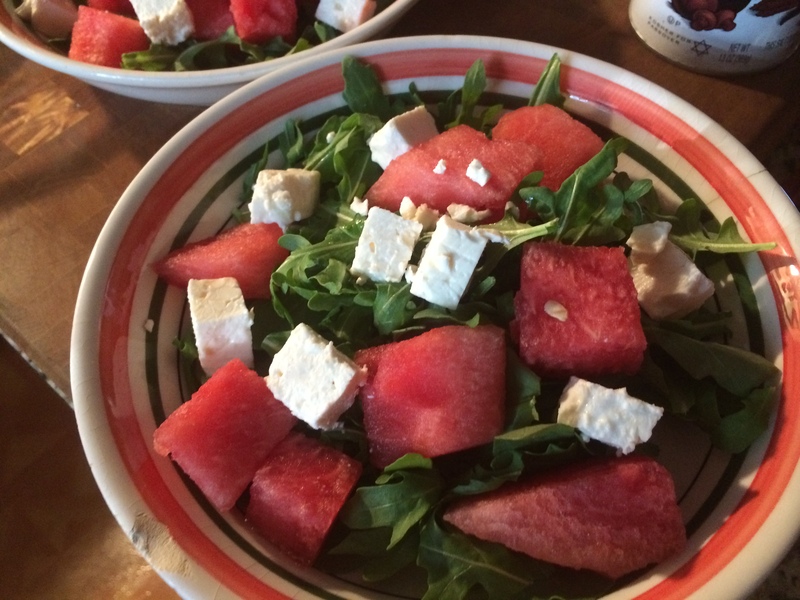 Alternate the ingredients, watermelon, feta, mint leaves (optional), and arugula onto a skewer. Drizzle with the Lemon Vinaigrette.